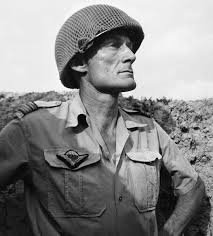 Colonel Langlais becomes the effective commander of the French garrison at Dien Bien Phu in all but name, a biography of him. On March 30th the Viet Minh attack the Dominque and Elaine positions on the eastern side of the French defences, the Viet Minh capture three hills. The French position of Isabelle to the south is cut off. Relations between the two most senior French commanders in North Vietnam General Navarre and Cogny grow worse.